New and Improved Seattle Film Manual is Now Online! The Seattle Film Manual has made the transition to a completely online format! This comprehensive guide features new and up to date information on everything you need to know about procedures for filming on public property in Seattle. We encourage all filmmakers to give it a read, and to please pass it along to any productions coming from out of town. The manual can be found online at seattle.gov/filmandmusic/film/film-manual. Current permit restrictions: NONE. All downtown traffic control/street closure permit restrictions have been lifted. Film permit requests for all Seattle neighborhoods, including downtown, will continue to be accepted and assessed on a case by case basis. As other major construction haul routes and street closures are implemented during the #SeattleSqueeze, the Office of Film + Music will continue our work with SDOT, SPD, Metro, and other relevant agencies to identify in advance any new or updated restrictions. SR99 Viaduct demolition continues through June. Several crews are currently deconstructing the viaduct in three places. As the scope of the deconstruction increases, so will the number and frequency of trucks hauling concrete and rebar. Impacts are expected to be greatest along the waterfront and the access streets leading to I-5 and SR99. More information here. Arena redevelopment begins this spring. Having prepared the work zone around the arena, the Seattle Center Arena redevelopment work will transition to major demolition and digging, bringing more truck hauls from the Seattle Center to I-5 and SR99. More information here. SR99 Tunnel Tolls expected to begin late summer. Just as we’re getting used to using the SR99 Tunnel, tolls will begin. The exact timeline has not been shared, but we should expect a start date sometime in late summer. Once tolling begins, the general pattern for drivers is to return to surface streets to avoid the tolls. Stay tuned for more information as it’s shared by WSDOT. More information on SR99 Tunnel tolling here. Need Help with a Location? Hire a Local Locations Professional! 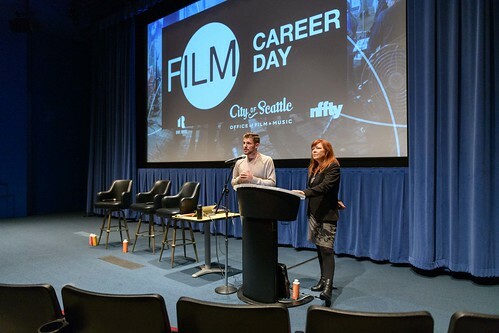 The Office of Film + Music has partnered with Washington Filmworks to develop a multi-municipality network for back-up location options in cases where a requested downtown Seattle location is not available for filming. Contact the Office of Film + Music for more information. As always, please contact the Office of Film + Music any time if you have questions or input. More good news. You will recall that no Seattle film permits were denied during the three-week SR99 dual viaduct/tunnel closure. Once again, in February the Office of Film + Music did not deny or relocate any filming requests due to #SeattleSqueeze restrictions. Film permits were issued for 28 film productions who hired 329 local cast and crew and filmed in all 7 Seattle Council Districts. Additionally, the Office of Film + Music was able to re-issue permits for three productions displaced by snow/ice. Current permit restrictions: NONE. All downtown traffic control/street closure permit restrictions have been lifted. Film permit requests for all Seattle neighborhoods, including downtown, will continue to be accepted and assessed on a case by case basis. As Metro buses move to surface streets and major construction haul routes and street closures are implemented, the Office of Film + Music will continue our work with SDOT, SPD, Metro, and other relevant agencies to identify in advance any new or updated restrictions. March 23: Metro buses move out of tunnel and onto surface streets. The bus tunnel is making its transition to light-rail-only, which means over 800 bus trips each week day will move out of the tunnel and onto surface streets on March 23rd. Many of these trips will move to 3rd Ave, primarily a transit-only street downtown, but many will not. The entry and exit points into and out of downtown will also change, adding more impacts to surface streets. The Office of Film + Music is working closely with Metro and SDOT to observe mobility constraints during this transition. More information here. Arena redevelopment begins this spring. Having prepared the work zone around the arena, the Seattle Center Arena redevelopment work will transition to major demolition and digging, bringing more truck hauls from the Seattle Center to I-5 and SR99. The haul routes and times are anticipated to be announced and begin by end of March. More information here. Seattle Film Industry: What’s next after the SR99 tunnel opens? Congratulations on making it through the three-week SR99 dual viaduct/tunnel closure! With the tunnel scheduled to open February 4th, we wanted to share a few planning, background, and preparedness notes as we move forward with the next phase of the #SeattleSqueeze. As of February 4th, the downtown traffic control/street closure permit restrictions officially end. Film permit requests from February 4th forward for downtown Seattle will continue to be accepted and assessed on a case by case basis. Once the tunnel opens and residents and businesses settle into a new mobility norm, we will continue our work with SDOT, SPD, Metro, and other relevant agencies to identify in advance any new or updated restrictions. In cases where a requested downtown location is not available for filming, the Office of Film + Music has contracted two location managers who are providing, in partnership with Washington Filmworks, regional options that can serve as location replacements. These location managers are also available for assistance to out of town or other productions who may need assistance navigating the region’s permitting and landscape. 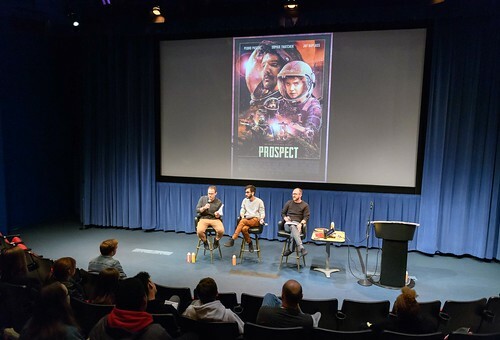 The Office of Film + Music coordinates permissions for film productions to operate on public City of Seattle property by issuing Master Film Permits. 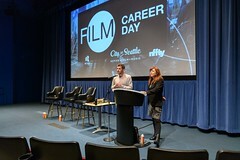 A strong Seattle film industry is at the center of the local creative economy. 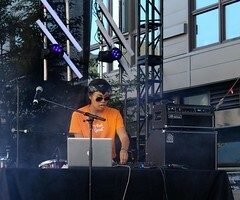 The Special Events Office operates within the Office of Film + Music, coordinating Special Event Permits for large or impactful public or private events (e.g., Seafair, Rock’n’Roll Marathon, Capitol Hill Block Party) and constitutionally protected free speech marches and rallies (e.g., Womxn’s March). 2018 was an amazing year for film and special events in Seattle. We can’t wait to see what’s in store for 2019! The Office of Film + Music, thanks in part to a partnership with Public Health – Seattle & King County, is supplying nightclubs with a lifesaving drug called Naloxone to use on people overdosing on opioids. As part of the new program developed by Nightlife Business Advocate, Scott Plusquellec, club owners and staff will receive training on how to properly identify an overdose and administer the drug. The first training was on Monday night. Cities throughout the United States are struggling with an ongoing opioid epidemic. In many cases, deaths can be prevented the use of Naloxone, a simple to use medication. Public health agencies are working hard to make life-saving drugs more readily available to the public. “We need to do everything in our power to ensure that anyone who can save a life has the tools and knowledge to do so. I’m thankful Seattle’s nightlife community wants to be part of the solution,” Kate Becker, Director of the Office of Film + Music said. At this month’s Mixer, special guest Sharlese Metcalf shared her talk entitled “Self Care and Activism: Ways of Living and Surviving in the Music Industry.” Whether it’s through her roles as Education Coordinator and DJ at KEXP, as a member of the TUF collective, or her work as a Music Commissioner, Sharlese has been a leading advocate in Seattle’s music scene for years. If you couldn’t make it to the Mixer, you can watch the full talk here, and we have also included Sharlese’s written script below. Wake up and don’t look at your phone. Take a walk instead. Don’t answer emails right away, they can wait. Take walking meetings at work, if you can. Don’t sit in a room with walls. Pack your lunch with healthy yummy things and eat your lunch away from your computer. They can wait. Write fan mail. Write a short letter or text to someone that you love or that inspires you and tell them you appreciate their work. Compliment someone. I have found that when I tell someone something nice, the impact is that it makes me feel good and them. Exercise. Do yoga. I do and DJ yoga quite often. You should come! Massage your creativity, like make a mix of your favorite songs. Eat with intention. Cook your favorite meal. Plan ahead to do so. Address positivity at your organization. It’s easy to frustrated at work by things that happen. Make sure to talk to your co-workers and find ways to be happy. Find the good work of others happening in the world, especially in Seattle community and send them to people. It can inspire and motivate positivity. Find ways to turn the upside down, right side up. Meaning if you found something that’s sad or bad, find a way to bring people together to amplify your voices. Keep educating yourself. Take a class! Acknowledge yourself and your strengths and consider your value. Respect, be kind and forgive yourself. You’re great! Be intentional and always know where you’re trying to go. Use your intuition to navigate better. Always trust your heart. Support live music! Going to show can mean the world for an artists and that in return will make you feel good. To be more real, support the arts! There are so many great artists in the Northwest and if you need help finding cool things to do, Artist Trust has a great calendar of full of statewide events to support. You can also find out about grant applying workshops and more there as well. Clean your space to your favorite album. It can be a trip to experience actually how an artist creates an album from start to finish. Spend time with friends and family. These people are some of the most important people in your life and they provide epic support. Look up. Everyone looks down, but have you ever tried looking up? A teacher in college recommended that to me and it changes your perspective and you might learn something! This month, youth leaders joined members of the Seattle Music Commission for a roundtable discussion on supporting youth who are entering Seattle’s music industry. Leaders representing Totem Star, KEXP, The Vera Project, 206 Zulu, Seattle Theatre Group, and MoPOP’s The Residency gathered at KEXP with representatives from the Music Commission and the Office of Film + Music to share resources and begin a dialogue on what young artists need to be successful. “I’m a student and an artist myself. My aspirations are to open my own nonprofit record label. What I hope to accomplish from this meeting is to gain a wider perspective on the issues of artists,” said Bryce Villatoro-Thomas, representing Seattle Theatre Group. 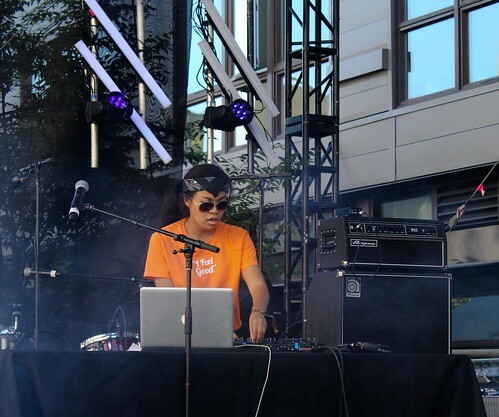 “My goal is to learn how I can best help to open up spaces for you all to work together, create change within our music industry climate here in Seattle, and uplift your communities by means of collaboration and really letting the City know, the City of Music know, what you need,” said Daniel Pak, chair of the music commission’s Youth + Community Committee. During the roundtable, youth leaders and commissioners shared their thoughts and experiences with existing resources for Seattle artists. Many shared information on the programs and services provided by their own organizations. Participants also discussed the contemporary “DIY culture” in the music scene: what it means to them, what tools they use, and whether it is best (or possible) to really do things yourself as an artist. The roundtable was followed by a youth-led open mic at The Vera Project. The young leaders from the roundtable emceed and coordinated a two-hour program that showcased all types of music, from punk rock to house. Several of the youth leaders performed themselves. 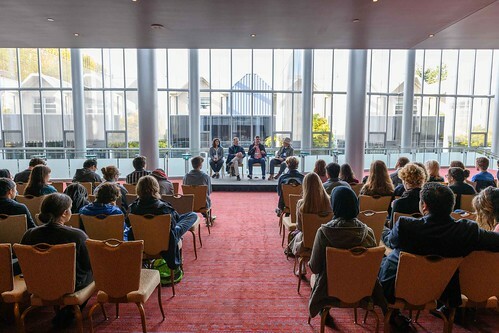 The Seattle Music Commission is currently working to create a directory of resources for Seattle artists of all ages, informed by input from the youth roundtable, and are looking forward to future conversations. 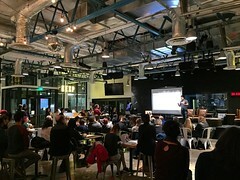 If you have ideas for the Commission or want to learn more about how to get involved, shoot them an email at seattlemusiccommission@seattle.gov.